Editor’s Note: This summer will mark the 100th anniversary of World War I’s outbreak. 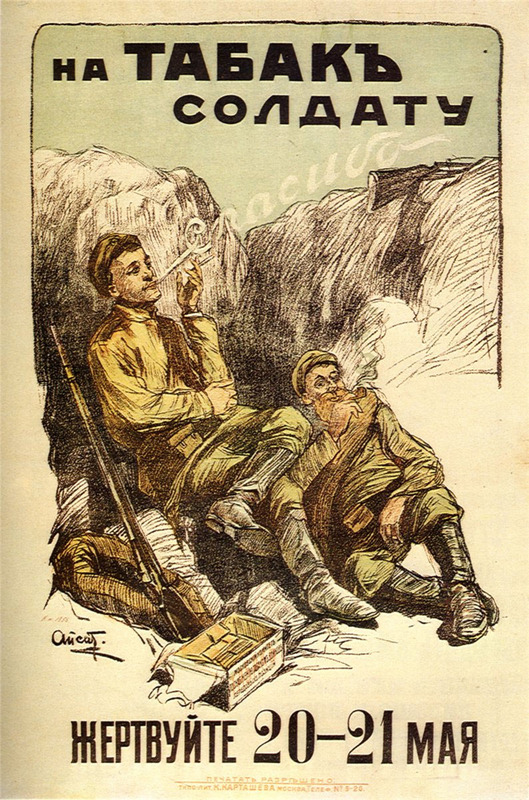 Today, contributing editor Nicholas K. Johnson brings us the third installment in a five-part series on alcohol, drugs, and the Great War. You can read Part One here and Part Two here. The experience of American soldiers and Marines with alcohol on the Western Front was fundamentally different than that of their allies from France, Belgium, and the British Commonwealth. Unlike the French and British armies, the men of the American Expeditionary Forces were not issued alcohol in the trenches. This would have been anathema to the powerful temperance movement on the home front. The temperance movement issued anti-alcohol propaganda during and after the war and connected it with the American cause. Behind the lines, YMCA camps offered “wholesome” entertainment for American troops free from alcohol and other vices. However, the temperance movement and YMCA ultimately failed to prevent American troops from consuming alcohol during the war. 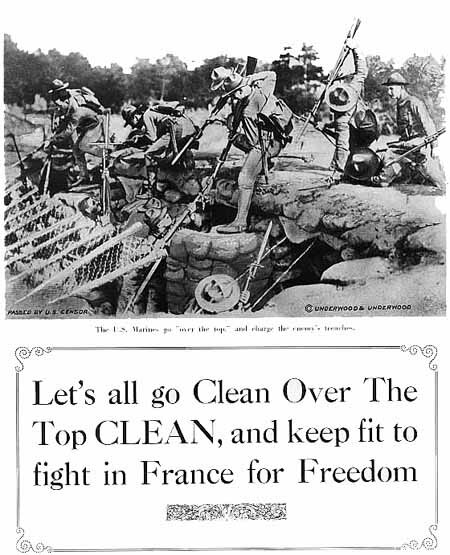 This image, published by the United Committee on War Temperance, emphasizes the “cleanliness” of temperance. Editor’s Note: This summer will mark the 100th anniversary of World War I’s outbreak. Today, contributing editor Nicholas K. Johnson brings us the second installment in a five-part series on alcohol, drugs, and the Great War. You can read Part One here. “Why don’t we get a rum issue every night, or a bottle of beer with dinner? The French get their wine.” – Frederic Manning, Her Privates We. The British Tommy had a somewhat different relationship with alcohol than his French ally and German counterpart. 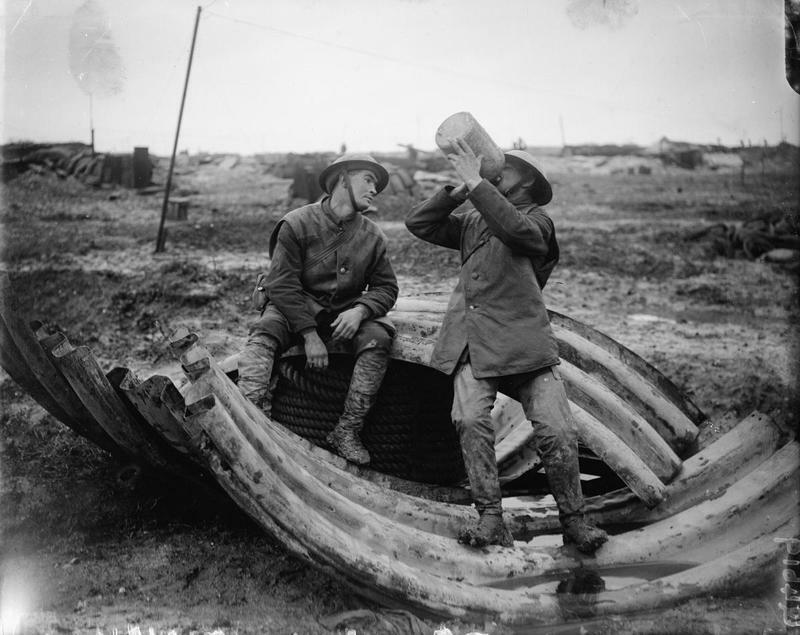 Although not as restrictive as American military regulations, British policy concerning alcohol in the trenches was more conservative than that of the French, who issued wine as a matter of routine to their frontline soldiers. However, soldiers of the British Commonwealth were given a daily rum ration. The rum ration, much like the wine ration issued to the French poilu, is a key part of British depictions of the war and formed one of the few pleasures of trench life. Two Tommies drinking rum out of the standard-issue jar at the “Chalk Pit” on the Somme in December 1916. The daily rum ration was much less than that pictured; enlisted men would be hard-pressed to access the unit’s rum jars, which were strictly controlled.